A tiny Hebridean island, 23 miles out into the Atlantic and with no street lighting, is bidding to become the UK’s remotest Dark Skies attraction. Canna, which has just 17 residents, is in the process of making the application in an attempt to lure dark tourists to the far flung isle. The few homes on the island have electricity, boosted last year by a £1.3million renewable energy scheme. 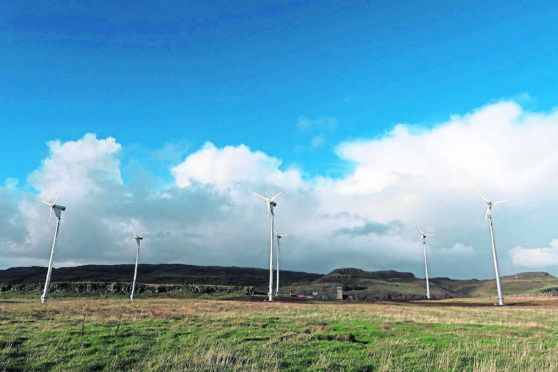 Canna – and neighbouring Sanday, which is joined by a road – are not connected to the national grid and previously used three diesel engines to produce power for the 18 properties. However the homes are not likely to interfere with stunning views of the Milky Way, planets and constellations above the island. On some nights, the Northern Lights can be seen. The National Trust for Scotland – which owns Canna – is supporting the Dark Skies status bid being made by the Isle of Canna Community Development Trust (IOCCDT). Peter Holden, a director of IOCCDT, said Canna was known for its wonderful landscapes and now hoped to be recognised for the skies above it. Canna, a two-hour sail from the port of Mallaig, is served by a ferry five days a week. The island attracts 10,000 visitors each year, including many yachtsmen. But Canna will not be the first Dark Skies island. In 2013, fellow Hebridean isle Coll secured Dark Skies status, meaning it is one of the best stargazing locations in the UK. Coll was the second area in Scotland to be recognised – behind Galloway Forest Park – and at the time, the sixth in the UK. The other UK sites with the status include Sark Island, Exmoor Reserve and the Brecon Beacons.